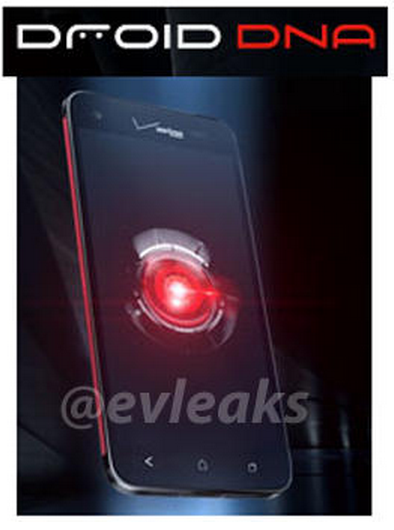 Verizon’s DROID DNA Pictured In Red and Black, Release Set For Early December? Moments ago, a press render of HTC’s 5″ super device, the DROID DNA, was posted onto Twitter. Along with the image was also a very important piece of info, a suspected release time of “early December.” From earlier reports, we were expecting this device to be made available around mid-November, but that wasn’t confirmed from HTC or Verizon. This isn’t the first time we’ve seen the device with Verizon branding, but it is the first we’ve seen of a completely new DROID eye and red binding around the edges. Google's Director of Business Strategy for Android Calls $299 Nexus 4 "Revolutionary"
Motorola Sends Invites for DROID RAZR M Soak Test, Jelly Bean Incoming?